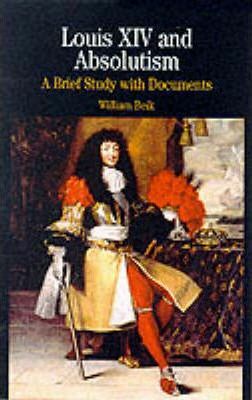 This collection of documents with commentary explores the meaning of absolute monarchy by examining how Louis XIV of France became one of Europe's most famous and successful rulers. In the introduction, Willliam Beik integrates the theoretical and practical nature of absolutism and its implications for the development of European states and society. The documents, newly translated and carefully selected for their readability, examine the problems of the Fronde, Colbert's grasp of the economic and fiscal dimension of the kingdom, the taming of the rural nobility, the interaction of royal ministers and provincial authorities, the repression of Jansenists and Protestants, popular rebellions, and royal image making. Explanatory notes, a chronology, and twelve images and maps further strengthen this volume's usefulness in the undergraduate classroom. WILLIAM BEIK is professor of history at Emory University. An authority on the social and institutional history of seventeenth-century France, he has written numerous books and articles.